One of only 2 fully organically certified vineyard operations in the McLaren Vale region, that I am aware of. I have previously reviewed this operation so I refer you to this entry by clicking here. 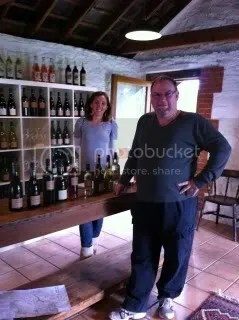 They have 2 wine ranges, the normal company label (Battle of Bosworth) and the Spring Seed Wine Company. The Spring Seed Wine Company was a label created for the American market. With the issues selling into the American market they have decided to release these wines into the domestic market. With the lower price point and the smart packaging these wines should do well. They opened a new cellar door on 12th August 2011 and I could not resist being there – in fact I had the pleasure of being their first cellar door customer. The cellar door can be found on Gaffney Road, Willunga. As expected this 60/40 blend of the 2 varieties is so different to the same blend from say Margaret River. This is good as we do not want wine clones – different is good. What I find very interesting here is that the Semillon seems to be dominate. I get some grass on the nose and some passionfruit on the palate, but the unripe nashi pear seems to me to be dominate. There is good acid here, which also adds to the overall length of the wine. Unwooded Chardonnay with all the melons you would want. I get honeydew and rockmelon like they were sitting in front of me. Again the acid length was good. For an unwooded Chardonnay this had a surprisingly good mouthfeel. A project of the great vintage and good winery practice. Chardonnay seems to be making a comeback and this sort of wine will only help. Made from Brown Muscat grape and has a red tinge due to some skin contact when the wine was crushed. With this introduction, I was looking forward to trying this wine to see if there was a little more complexity than most of the offerings of this type. I was not disappointed with this spritzig style wine. The aromas had the expected grape but some really interesting floral characters. The flavors were just grapes, grapes and more grapes but had a interesting mouthfeel (that I expect was due to the skin contact). I can see this wine walking out of the cellar door. Starting with a very pleasant set of berry aromas (both blueberry and blackberry). The flavors were the same fruits with a good hit of tannin and acid that means a good length on the wine. Not over done with either the fruit or the oak, so I can see this wine being quite popular. Regular readers of the Lonely Grape will know that Sauvignon Blanc is not one of my favorite wine varieties. This offering is not over the top like a lot of these wines. There is some grass and passionfruit here but not too much. The acid length is here which shows the vintage was spot on for this variety. The start was lees than expected as the aromas were very closed. I wondered if it was due to the wine being cold, so I waited for the wine to heat up a little, but it made no real difference. The flavors show how much a little Viognier (about 5%) can make – the apricot of Viognier is noticeable but not overt. This unwooded wine will split the wine tasting visitor to this cellar door. Some will really like it and others will not, and for me …..
Now we are talking. A Chardonnay with some smart French oak treatment. There is extra complexity here that the oak brings to this classic grape variety. Melons mixed with cedar and lovely acid here as well. The mouthfeel also indicates some lees aging. This wine is a beauty and brings me hope that the classical lightly wooded Chardonnay is not dead. I have had this wine before and I have been pleasantly surprised over the quality of this rose from Cabernet – not the usual grape variety for Rose. The aromas of strawberries and a very clean wine with watermelon and blackcurrent fruit. I hear this wine has not been made since and so I urge you to check it out. I have had a few bottles during the heat of summer with some crusy bread and soft cheeses – Yum. This wine is very interesting. Ever heard that people do not drink red wine because they get head aches? One train of thought about this is that the head aches are due to a wine preservative – sulphur dioxide. This wine is produced with no wood contact – aging in the wood requires the sulphur dioxide to be added to the wine. The wine has been made with no additives at all. I thought the wine may have been like a light red with minimal tannins and character. I could not have been more wrong. I got cherries, blackberries and blueberry aromas and the same clean fruit flavors with much more tannins than expected. If you have trouble with the additives in red wines then try this wine – it will not disappoint. This is why McLaren Vale is known for producing high quality Shiraz. The aromas were voluminous with plums and dusty French oak. Here is the great mid palate that McLaren Vale is all about all the fruits from the aromas that just last right across the whole tasting experience right though to a long lasting length. Yes, I enjoyed this wine. All that you expect from Cabernet – blackcurrent fruits all over the place. Good acid length and the oak not being over done will mean the Cabernet lovers amongst us will enjoy this one. An amarone style – the grapes are air dried to concentrate the grape sugars and flavors before the grapes are fermented. From the few wines made in the style I have tasted, I notice a Current characteristic on both the aromas and flavors. This wine continues this trend. Everything about this wine is classy, concentrated flavors, smart use of oak, and good acid length means this wine is one to check out. The aromas were typical for this style – sweet tropical fruits with an apricot envelope. The grass flavor is hear but the striking element of this wine is the level of acid. The acid cleans the palate of the high levels of sugar so your mouth feels clean and ready for another sip. 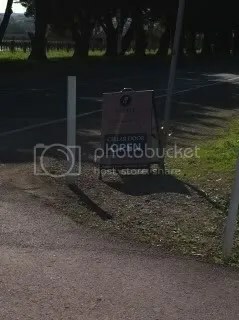 This entry was posted in Mclaren Vale, wine and tagged Australia, Cabernet Sauvignon, cellar door, Chardonnay, Mclaren Vale, McLaren Vale Wine, Sauvignon Blanc, Shiraz, Small Producer, South Australia, wine, wine McLaren Vale. Bookmark the permalink. As official Battle of Bosworth cellar door visitor #2 I concur with Shane’s analyses above, although his palate is more educated than mine. Great to meet you there Shane! Loving your wines!! Thanks for such an honest and low preservative red wine option, that tastes great.